Refrigerator Repair in Seattle, WA. Seattle Appliance Repair is the Seattle refrigerator repair company to call when you want fast, reliable and affordable service anywhere in King County and nearby cities in Pierce and Snohomish Counties. Call us today, or use the contact form on this page, and we’ll soon be on our way with refrigerator repair you can trust. Our trained technicians have the training and certifications to fix every brand of refrigerator on the market. These include GE, LG, Samsung, Whirlpool, Kenmore, KitchenAid, Sub-Zero, Viking, Jenn-Air, Frigidaire and more. We have universal parts on the truck to make the repair, in most cases, in one visit. Repairing or replacing ice makers is something we do on a daily basis. If yours is leaking, won’t produce ice or is making noise, give us a call, and we’ll get it repaired for you quickly. We’re based in Seattle, but we travel to your neighborhood for refrigerator repair in Seattle. The cities we serve include Seattle, Everett, Kirkland, Sammamish, Redmond, Edmonds, Shoreline, Mercer Island and many more. The professional technicians at Seattle Appliance Repair handle every type of appliance. We’ll come running to repair your dishwasher, refrigerator, disposer, stove/range/cooktop, compactor clothes washer, clothes dryer or compactor. Call or use our contact form, and help will be on the way! Our reputation for outstanding customer service has grown one satisfied customer at a time. Much of our business is word of mouth, because we do a great job and people tell their friends and neighbors about us. We’ll respond quickly to your request for refrigerator repair in Seattle and the surrounding area. The technician will diagnose the issue and discuss your options. A written estimate will be provided, and we’ll get the job done quickly. You’ll be given a warranty that guarantees the quality of our work! 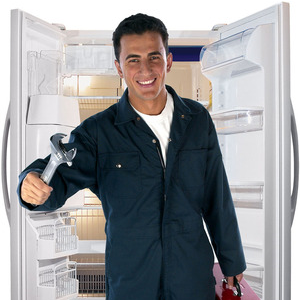 For Seattle refrigerator repair, contact us today, and we’ll come running to get it done right the first time. Night and weekend appointments are available!